Riyadh: H.E. Minister for Water, Environment and Agriculture, Eng. 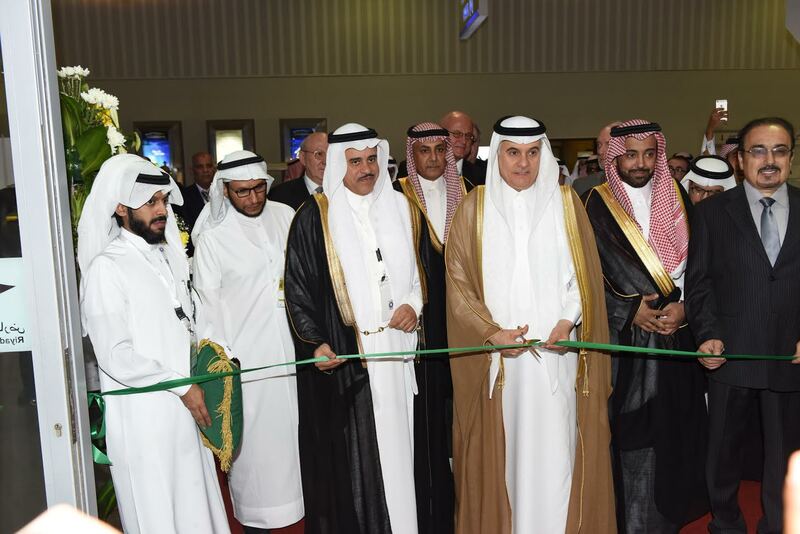 Abdurrahman Abdul Mohsen Al-Fadli, inaugurated the Saudi Agriculture & Saudi Agro Food 2016 Exhibition yesterday, October 2, 2016 at the Riyadh International Exhibition and Convention Center. Saudi Agriculture & Saudi Agro Food 2016, organized by Riyadh Exhibitions Company and accredited by UFI, is held under the patronage of the Ministry for Water, Environment and Agriculture and supported by the Saudi Organic Farming Association, is witnessing this year huge participation from local, regional and international companies and organizations, with Al Fakieh as the diamond sponsor and Riyadh Chamber of Commerce is participating as the strategic partner. The show which will last for 4 days until October 5, 2016, highlights Saudi Arabia’s Agriculture and Food sector and facilitates the communication between local and foreign companies. This year’s event focuses on organic farming and its associated products and technologies, in addition to fish farming and aquaculture, and discusses the preservation of natural resources of the Kingdom to achieve food Self-sufficiency. More than 350 companies from more than 31 countries are participating in this 35th edition of the fair headed by 12 national and country pavilions Brazil, China, Czech Republic, Egypt, Greece, Hungary, Indonesia, New Zealand, Holland, Turkey, United Arab Emirates and Saudi Arabia. This show enhances the collaboration between all participants and contributes to the development of this vital sector. This year’s edition is characterized by the Organic Farming Conference, which is being organized by the Saudi Organic Farming Association. The conference encompasses 6 specialized workshops delivered by industry specialists, and discusses the current situation of the organic farming sector, and the ways to develop it further and market its products. It is worth mentioning that Riyadh Exhibitions Co. Ltd., is a Saudi Company specialized in organizing exhibitions, conferences and other trade events. The company caters to several activities for various economic sectors. Throughout its 35 years, REC has organized more than 440 unique and successful shows and conferences renowned for their innovation, professionalism and attention to details. REC boasts an international presence, supported by over 120 commercial & industrial bodies from more than 50 countries. Regionally, REC dominates with its wide range of events programs, serving 20 economic and financial sectors in the Middle East. REC’s leading events are certified by UFI.